Daily Illuminator: International TableTop Day Is Upon Us! 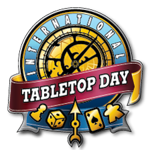 April 8, 2015: International TableTop Day Is Upon Us! 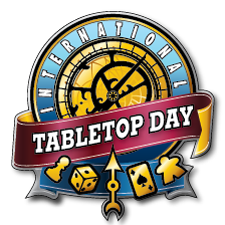 International TableTop Day, which is this coming weekend, is a chance for us to come together as a community of gamers and celebrate the hobby we love so much. It's a chance for us to play games we enjoy, to learn new games, and to teach new games to our friends -- or to brand new gamers! Steve Jackson Games sponsored ITTD this year, and we're also going to be sending folks to local game stores in Austin to participate in the festivities. Devin and I are also going to get the chance to fly out to Burbank and attend the International TableTop Day flagship event, which should be a lot of fun! If you're in the Austin area, you can come to any of these stores on Saturday the 11th and we'll be there, demoing games and talking to fans! Are you going to participate in ITTD? What are you going to be doing? Whatever it is, we hope you have fun!